李腊月, 薄万举, 陈宗时, 等. 滇西北下关跨断层场地形变异常调查与机理分析[J]. 大地测量与地球动力学, 2019, 39(1): 77-83. LI Layue, BO Wanju, CHEN Zongshi, et al. 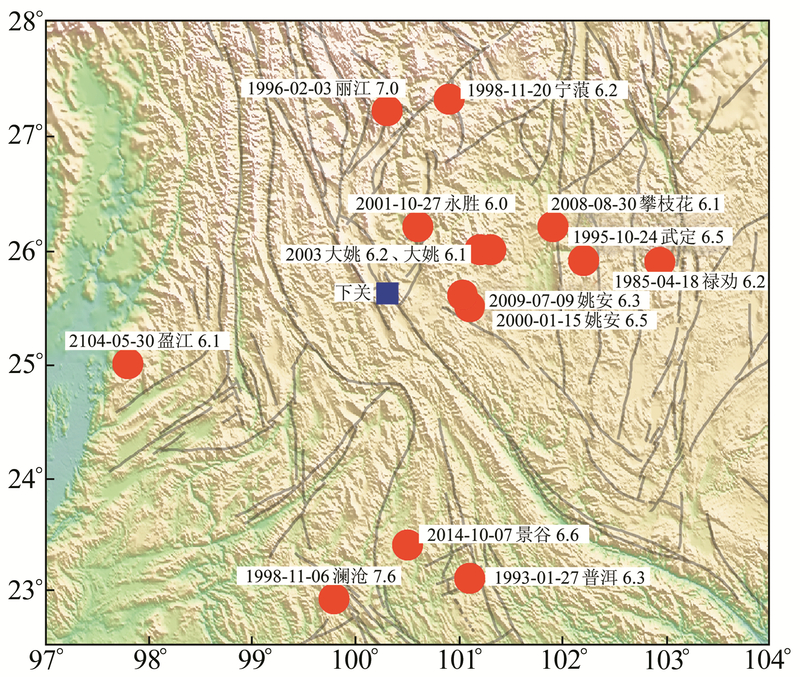 Investigation and Mechanism Study of Deformation Anomaly of Xiaguan Fault Site in Northwest Yunnan Province[J]. Journal of Geodesy and Geodynamics, 2019, 39(1): 77-83. Combination Project with Monitoring, Prediction and Scientific Research of Earthquake Technology, CEA, No. CEA-JC/3JH-173705; The Spark Program of Earthquake Technology of CEA, No.XH18067Y;Special Project of Basic Work of Science and Technology, Ministry of Science and Technology, No. 2015FY210400. BO Wanju, researcher, majors in crustal deformation and earthquake prediction, E-mail:: bowanju@163.com. LI Layue, engineer, majors in seismogeology, crustal deformation and earthquake prediction, E-mail: lilayue@126.com. Foundation support: Combination Project with Monitoring, Prediction and Scientific Research of Earthquake Technology, CEA, No. CEA-JC/3JH-173705; The Spark Program of Earthquake Technology of CEA, No.XH18067Y;Special Project of Basic Work of Science and Technology, Ministry of Science and Technology, No. 2015FY210400. About the first author: LI Layue, engineer, majors in seismogeology, crustal deformation and earthquake prediction, E-mail: lilayue@126.com. 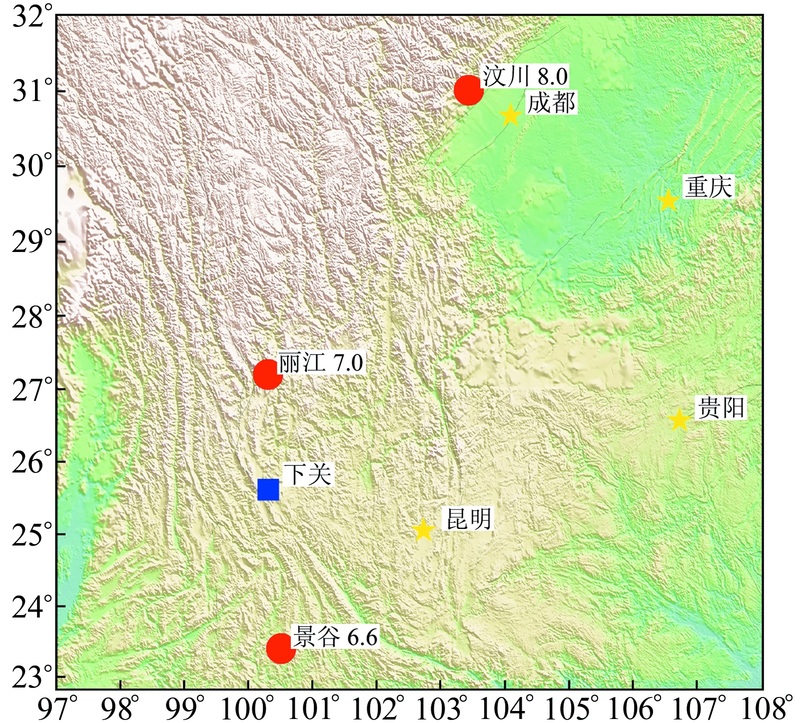 Corresponding author: BO Wanju, researcher, majors in crustal deformation and earthquake prediction, E-mail:: bowanju@163.com. 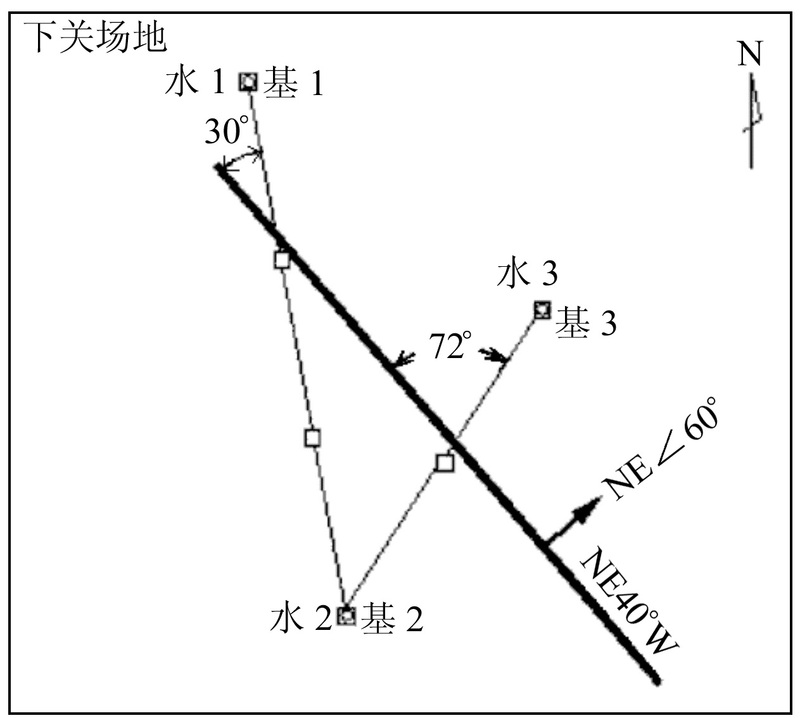 Abstract: In this paper, on-the-spot investigation and inspection is carried out for the fault deformation anomaly on Xiaguan site, northwest Yunnan province, and the original observation curves are analyzed. Furthermore, the accumulation of 3 parameters: the relatively horizontal torsion, the relatively horizontal movement and the relatively vertical variation of the fault, are calculated respectively; and the mechanism of deformation anomalies is discussed. The results are: (1) the observation position of the Xiaguan site is stable, the observation environment is good, there is no artificial disturbance or interference phenomenon, and the observation data is continuous and reliable; (2) the cross-fault observation of the Xiaguan site shows the fault has been being active as a right lateral slip, which has been enhanced recently; (3) there is a corresponding relationship between the abnormal compressional fluctuation of the fault deformation and strong earthquakes in the surrounding area; (4) the accumulation of horizontal compressional deformation from baselines across the fault shows that there is constant surface tensional fault activity. The accumulation of relative vertical deformation of the fault from leveling shows that the fault has a persistence of compressional fault (inverse) activities, and both can be explained under the mechanism of unity, which is of important reference value to explain the large number of contradictory phenomena in the observation of the cross-fault site.